A glimmer of hope for Wii U owners. If you check out Ubisoft's Uplay store in the States right now, you'll see it now lists the Wii U version of Ubisoft's Watch Dogs as coming out in Fall 2014. The delay of the highly anticipated game on Nintendo's console was announced back in February, with no specifics provided on a secondary release window. Ubisoft CEO Yves Guillemot explained that the extra time would "focus the team's resources where they could have the broadest possible benefit for both our customers and Ubisoft." While this is certainly encouraging news for Wii U owners wanting to get their hands on Watch Dogs this year like the rest of the world, keep in mind that the Uplay store isn't always an entirely reliable source. In fact, the Australian store still lists the Wii U version as coming out May 27. We reached out to Ubisoft, and the publisher has no comment for us at this time. Watch Dogs was previously scheduled for November 19, 2013 in North America and November 22, 2013 in Europe on all platforms. Ubisoft announced the delay in October last year, alongside the statement that the publisher would "not compromise on quality." Last month, the new May 27 release date leaked via a trailer. 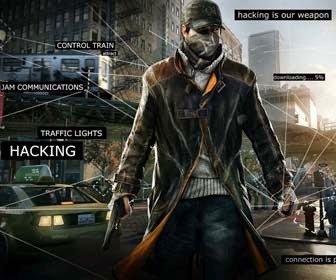 Watch Dogs will be coming out on PC, PS3, PS4, Xbox 360 and Xbox One May 27.